The USA National Adaptive Team for the 4+ traveled from across the United States to meet up and train in Austin at Texas Rowing For All & Texas Rowing Center in late September, 2010. Texas Rowing For All hosted the group under the guidance of National Team Coach Karen Lewis. 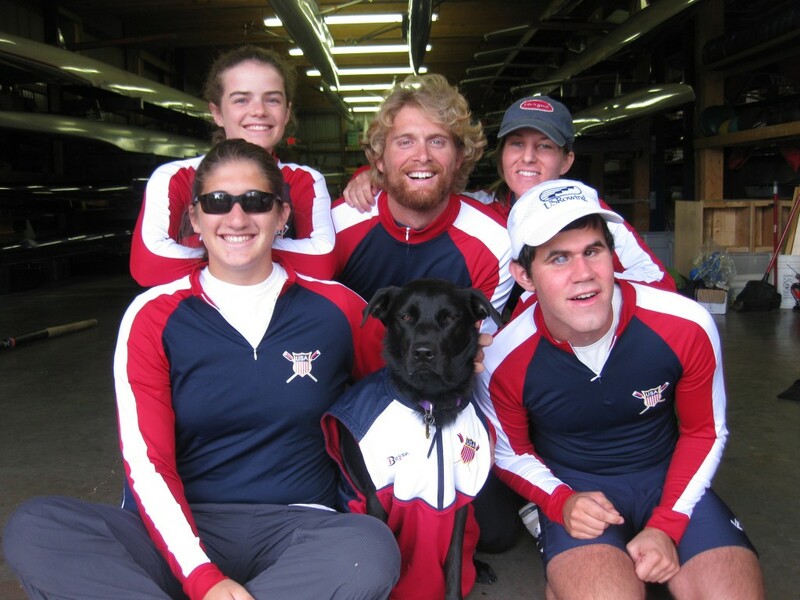 Our own athlete from Texas Rowing For All: Eric McDaniel, Jr (center with blond hair) made the National Team and his service dog, Jamica served as team mascot! The Team went on to compete in New Zealand two months after training in Austin, racing the sprint course in the World Rowing Championships. The 4+ team came in 6th place in the World. The team is currently focussing upon the 2012 Olympic / Paralympic Games in London, England.